MobyMax, innovator of the nationally applauded personalized and blended learning curriculum for K-8 students, has won two 2017 THE Journal Readers’ Choice Awards. Known for helping students learn twice as fast, MobyMax garnered a Silver Medal in the Favorite Interventions & Remediation Software category and a Platinum Medal in the Favorite Adaptive/ Personalized Learning Tool category. Winners of the awards, which honor outstanding contributions in education, were determined via an online poll of over 1,000 education professionals. “We are gratified that those on the frontlines of addressing our biggest instruction and motivation challenges have found MobyMax to be such a worthwhile partner,” said company co-founder Glynn Willett. “Thanks to their feedback and our own commitment to results-driven innovation, we’ve been able to create the most comprehensive all-in-one K-8 offering on the market. Our model enables students to consistently gain more than one full grade level after just 40 hours of work – and at a fraction of the cost of other products. 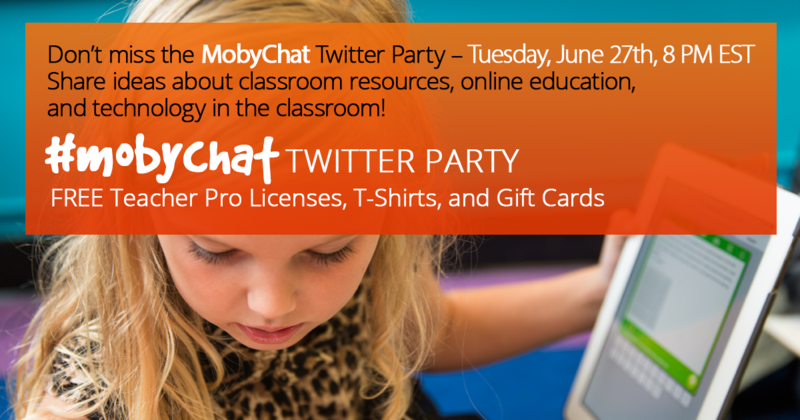 Join us for our first Twitter Party on Tuesday, June 27th at 8pm ET and use #mobychat to join the discussion! The Moby team will lead a lively conversation about classroom resources, online education, and technology in the classroom. This twitter chat is a great way to share ideas and learn about new tricks that are working for teachers and administrators around the country! We’ll follow a standard Twitter chat structure, posting a series of open-ended discussion questions over the course of 30 minutes. Follow the discussion with the hashtag #mobychat (or by visiting us at @MobyMax). Each question will be identified as: Q1, Q2, Q3,. etc. When you tweet a comment or response, label your answer as A1, A2, A3, etc. We look forward to chatting with you on Tuesday, June 27th! Register for the event here to be eligible to win prizes. Brand New ELA Curriculum and Reports! We just released a brand new ELA module: Foundational Reading! Foundational Reading teaches fundamental reading skills using cognitive skill manipulatives that will jumpstart students’ reading ability. 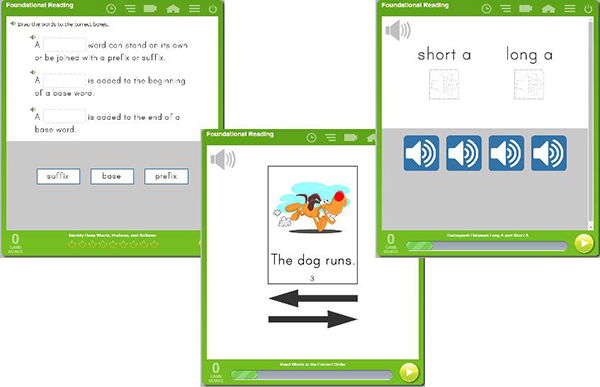 Aligned with CCSS Foundational Reading standards, the module focuses on key skills such as phonological and phonemic awareness, decoding, segmenting, blending, syllabication, and more. Click the "Foundational Reading" button to explore this great new module! Every student deserves to have curriculum customized to meet their specific needs. And every teacher needs easy-to-use tools to customize curriculum. To help teachers tailor MobyMax to their students, we've made some changes to the Curriculum Settings menu. When you click the "Curriculum Settings" button on the teacher dashboard, you'll now be taken to the "Default Settings" screen. 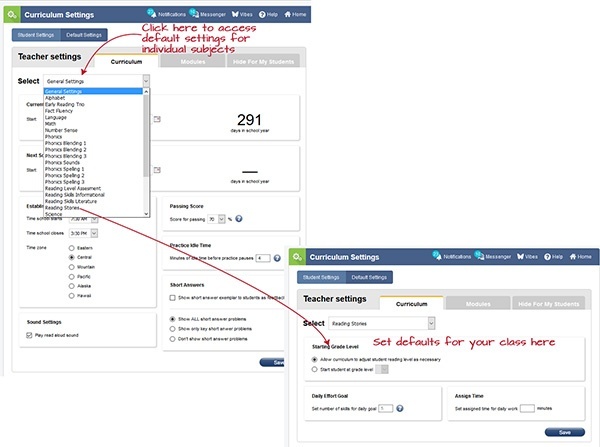 Here, you can set default settings for your entire class for each individual subject, adjust settings for non-curricular modules, and hide subjects and modules from students. We just released new, spiffy reports and a really cool way for young students to sign in without even typing! In the release today, we've moved Real Time and Alerts into their own modules. Even though this looks a little different, the features are the same. There's also a new section on the teacher dashboard called Data and Reporting, which includes options for Classroom Dashboards, Student Dashboards, Monthly Reports, and Time Summary. Again, most of these reports show the same information they did previously; they've just moved to a new place! Monica Contreras loves teaching math to her third graders. But do her McKitrick Elementary third graders love learning math? A few years ago, Mrs. Contreras wasn’t so sure. But today, thanks to the MobyMax tools she’s using, she can confidently say that her students love learning math—though they may actually love MobyMax contests more! Mrs. Contreras started using MobyMax several years ago to help her students prepare for the annual Florida Standards Assessment tests. She created a MobyMax Science Challenge that resulted in a 20 percent grade level increase in science among participating students. 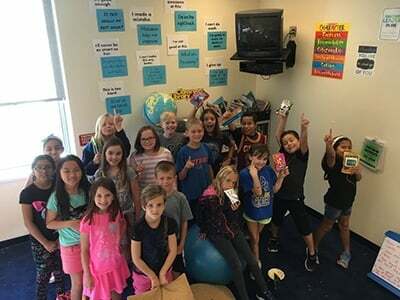 When it came time to focus on math, Mrs. Contreras decided to run a MobyMax contest. Why are contests such a great way to motivate students to participate? Because “They love watching their stats go up!” she says. Say Hello to your Moby Friends! Exciting news! MobyMax just released a brand new motivational tool called Moby Friends. Moby Friends are fun cartoons that follow students around as they work in the program. 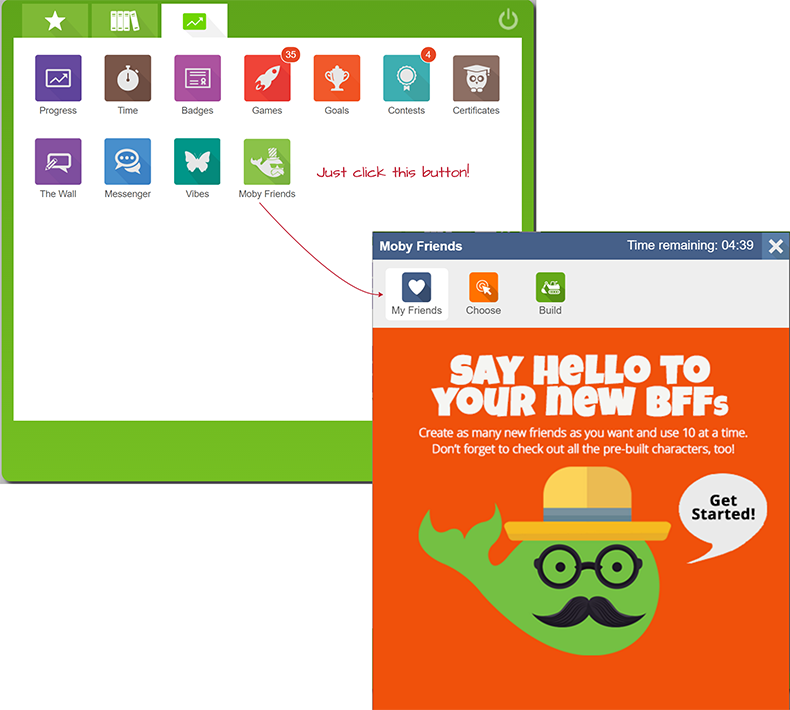 Have students click on the Moby Friends button in their student dashboards to get started. 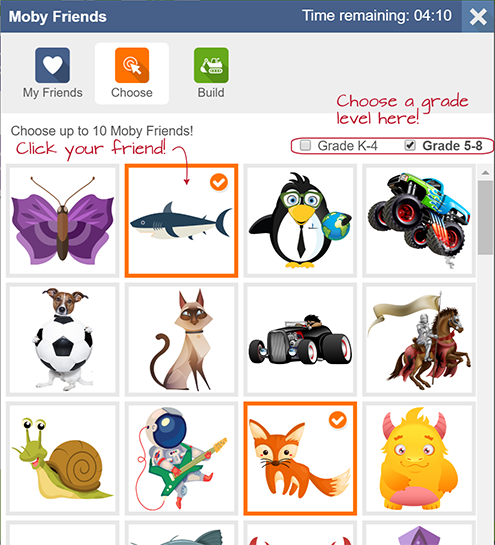 Students can Choose or Build their Moby Friends. Using the "Choose" option, students can pick from a ready-made list of friends. To select a friend, simply on the desired thumbnail. Early Reading teachers know how critical it is for students to learn sight words. 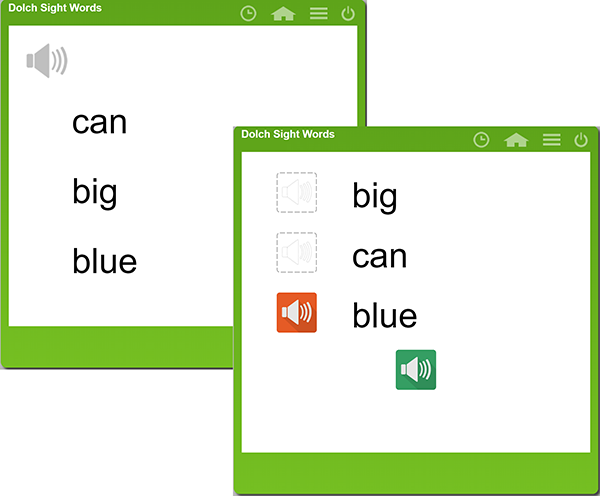 Learning high frequency words by sight allows students to fluently read sentences and passages without having to waste time on decoding. 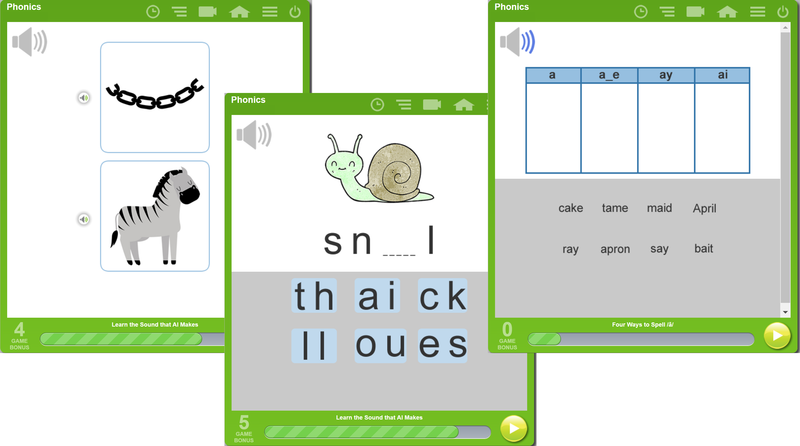 That's why we've added Dolch and Fry Sight Words to the MobyMax Phonics suite. Students will learn these words using engaging manipulative questions and fluency speed drills, ensuring that students memorize these critical words in a flash. All they need to do is click on the "Sight Words" button today to get started! 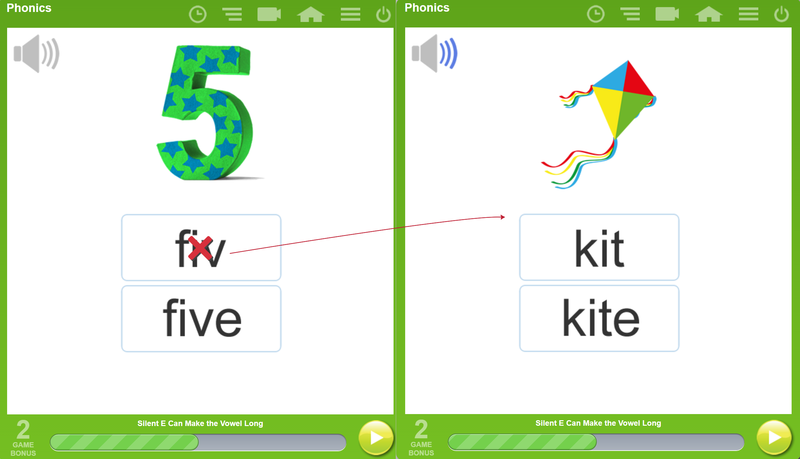 Moby just released a brand new module to help your students learn to read: Phonics! Phonics is a comprehensive phonics course that covers everything from the alphabet to Latin and Greek roots. It uses animated Teach Me lessons, interactive manipulatives, and adaptive practice sets to keep students engaged. This module uses a new question type called quiz manipulatives, which allows Moby to automatically score student responses to manipulative questions. If a student gets one of the question types incorrect, he or she will be automatically given another question of the same type. This ensures that students focus on the question types they need to work on the most! MobyMax Daily Challenges just got so much better! When your students sign into MobyMax, they'll take flight with our updated Daily Challenges! Challenges are now available for Math, Language, Vocabulary, Reading Stories, Reading Skills Lit, Reading Skills Informational, Writing Workshop, Science, Social Studies, and Fact Fluency. 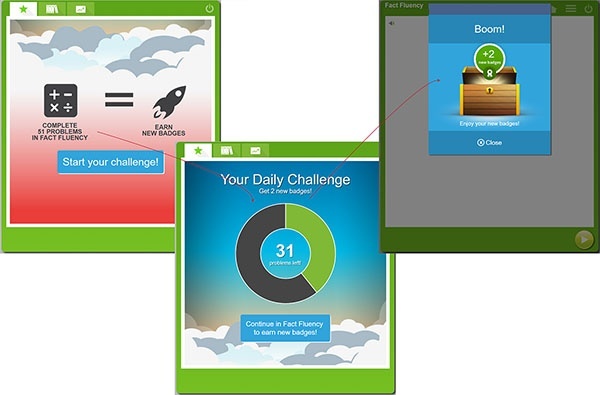 As students work on their challenges, they will gradually see their progress on the Daily Challenge screen. Once completed, the student will receive a notification of what award they've earned. Daily Challenges will vary for each kiddo, so make sure everyone signs in to see their special challenge!